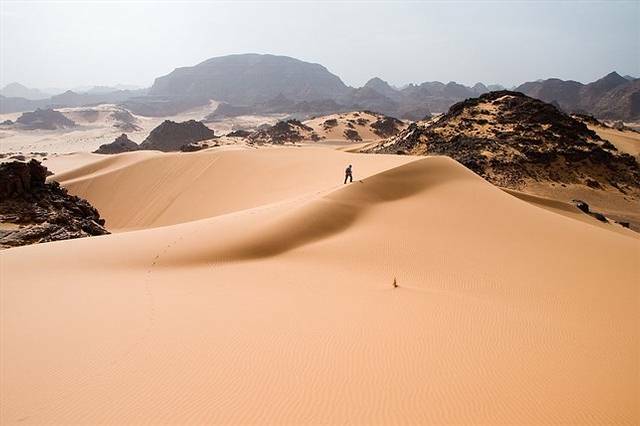 Amazing study reveals that humans occupied Sahara 8,000 years ago. The Sahara desert is one of the most popular deserts worldwide. It is the largest hot desert and the third largest desert in the world after Antarctica and the Arctic with an area of 9,200,000 square kilometres is comparable to the area of the United States. The recorded average annual rainfall in the area ranges from very low in the northern and southern fringes of the desert to almost non-existent over the central and the eastern part. Interestingly, archaeological evidence shows that humans occupied much of the Sahara during the wet period, but gradually withdrew some 8,000 years ago. The Sahara Desert is the warmest in the world and the third largest after Antarctica and the Arctic. Based on erosion marks, several researchers and geologists have suggested that the Great Sphinx was built thousands of years earlier than the official story suggests.